This boat is so smooth that you actually forget that you are cruising at an average speed of 29km per hour on the ocean. The sun rises about 5.30am and the boat docks at about 7am so it is nice to get up early and look at the landscape as we come into Port. 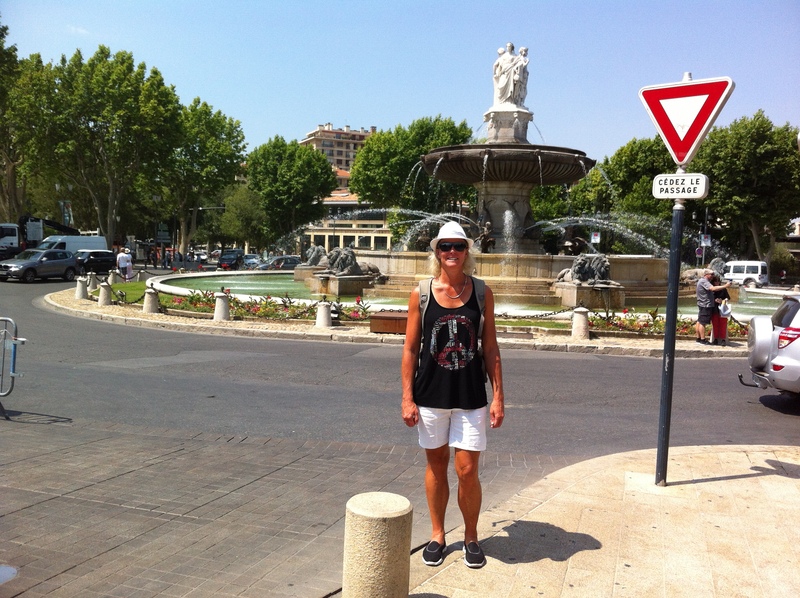 On Tuesday morning we took a tour to Aix en-Provence. We had to meet in the theatre at 7am and then we got herded onto the appropriate bus. 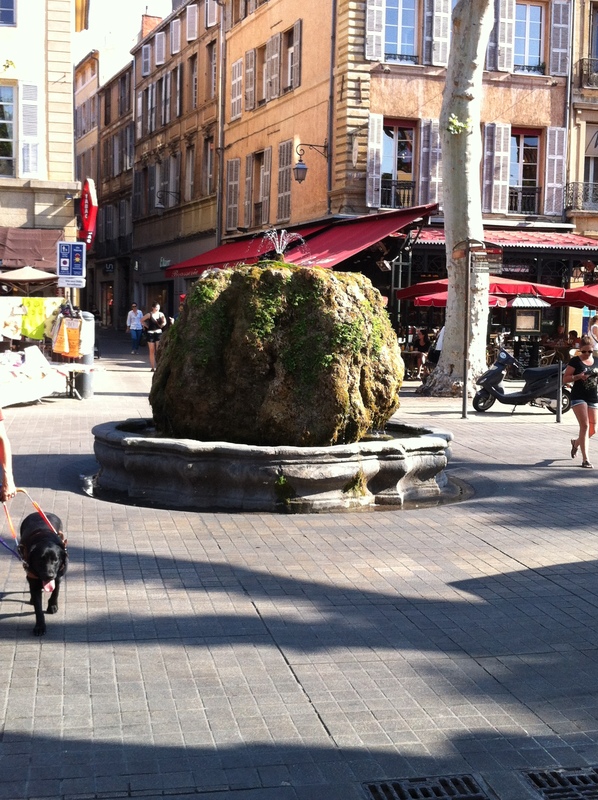 It took about 1.5 hours to reach Aix en-Provence which is a city commune in the south of France, about 30km north of Marseille. It has a warm climate and on Tuesday it reached about 29 degrees. 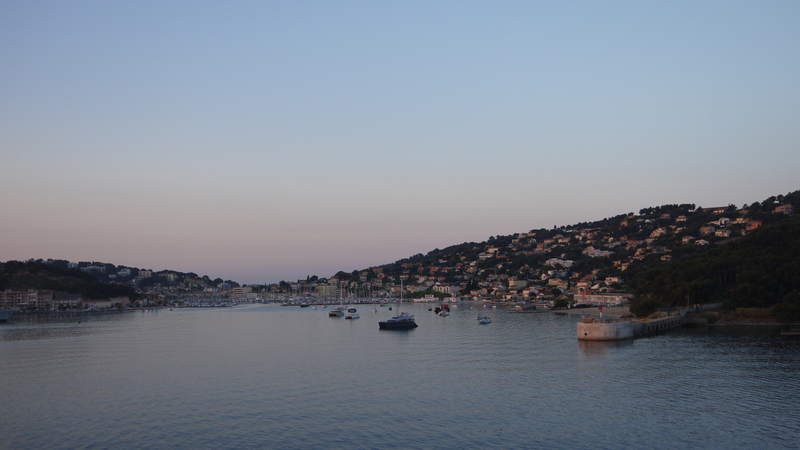 Aix has an average of 300 days of sunshine per year. Our tour guide Aureil gave us a commentary about the area along the way and then took us on a walking tour in the town. The town is divided by a tree lined boulevard called the Cours Mirabeau. It is bordered by fine houses and decorated by fountains – there are 21 fountains in the town. Aix means water so the fountains are quite fitting. The boulevard follows the line of the old city wall and divides the town into two sections – the new town and the old town or the medieval town. We visited the Cathedral of the Holy Saviour (Aix Cathedral) which is situated in the medieval part of Aix. It contains a mixture of all styles from the 5th to the 17th century. 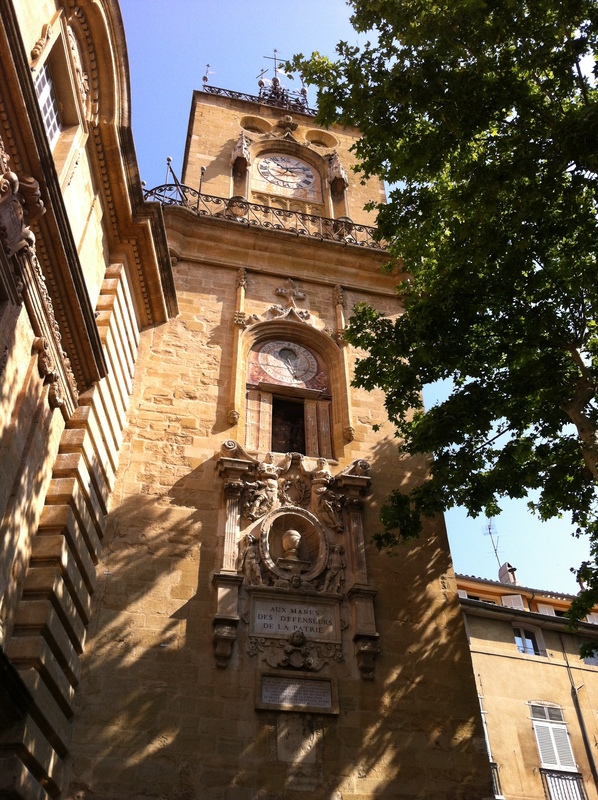 Aix has long been a university town: Louis II of Anjou granted a royal charter for a university in 1409. Today Aix remains an important educational centre, with many teaching and research institutes. This town used to be independent from France and have it’s own language. The local Aix dialect, rarely used and spoken by a rapidly decreasing number of people, is part of the provencal dialect of Occitan language. The provencal for “Aix-en-Provence” is “Ais de Prouvènço”. Most of the older streets in Aix have names in both Provençal and French. We hopped back on the bus and headed back to the boat and hit the pool for some relief from the heat of the day. We set sail for Rome at 3pm so with everyone on board the pool areas were rather busy but by 5pm the adults only pool was deserted. Steve was up to his old tricks – he told me that he was just going for a walk and would come back to the pool about 5pm. He finally appeared at 6pm – he had been making friends around the boat. He’s really enjoying the cruising lifestyle.